Management of graph structured data has important applications in several areas. Queries on such data sets are based on structural properties of the graphs, in addition to values of attributes. Answering such queries pose significant challenges, as reasoning about structural properties across graphs are typically intractable problems. This chapter provides an overview of the challenges in designing databases over graph datasets. Different application areas that use graph databases, pose their own unique set of challenges, making the task of designing a generic graph-oriented DBMS still an elusive goal. 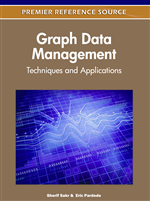 The purpose of this chapter is to provide a tutorial introduction to some of the major challenges of graph data management, survey some of the piecemeal solutions that have been proposed, and suggest an overall structure in which these different solutions can be meaningfully placed. Increasingly, management of data representing relationship structures across entities is an important issue in several application domains. Often, semantics are hidden in the way different entities are related, which may not be obvious by studying each entity in isolation. Querying on properties of such relationship structures are sometimes as important, if not more so, as querying for values of specific attributes. Designers of public infrastructure like airports, hospitals, etc. face a number of conflicting requirements concerning safety, efficiency, reachability, cost, etc. Conflicting requirements like these are often modeled as network design and facility location problems (cf. Brandes and Erlebach, 2005) over graphs. Since designing a facility from scratch is often a hard problem, architects use design patterns depicting best practices and architectural features that have been recorded over time. Management of such datasets requires the database to support structural queries over graphs. Management of graph structured data is not a new problem in the field of databases. Most data structures at the application level usually need to deal with some form of graph structure. Early approaches to data management did not have clear separations between logical and physical views of data. As a result, graph structured data from the application were stored directly as a networked set of records at the physical level. An example of this is the Network data model (Taylor and Frank, 1976). Later approaches towards data management had clearer separations between the physical layout of records on disk and the logical structuring of the database schema. The most popular among these is of course, the relational data model (Codd 1983), which has become the standard for most commercial DBMS today. The relational data model gave mathematical underpinnings to the logical structuring of data, based on concepts of relations, functional dependencies and normal forms. Relations in a relational schema are captured in two different forms: an n-ary relation across several attributes of a given semantic entity; and relations across entities. The former kind of relation is represented in the form of a table – every column in a table is related to every other, by virtue of being attributed to a single entity. The second form of relation is represented by means of foreign keys across tables.